- Contribuye con sus actitudes de respeto, tolerancia y humildad a su propia formación y a un buen desarrollo de las clases favoreciendo así al manejo de las relaciones interpersonales. 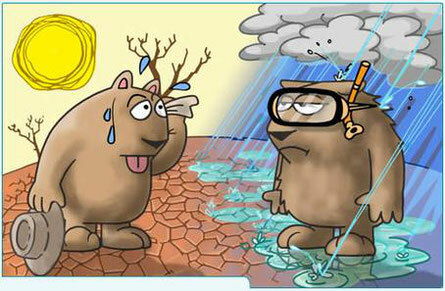 NASA - WHAT´S THE DIFERENCE BETWEEN WEATHER AND CLIMATE? For example, after looking at rain gauge data, lake and reservoir levels, and satellite data, scientists can tell if during a summer, an area was drier than average. If it continues to be drier than normal over the course of many summers, than it would likely indicate a change in the climate. Weather and climate are not the same. Weather is the condition of the atmosphere at a particular place and at a given time. Climate is the condition of the atmosphere in a particular place during a long period time. 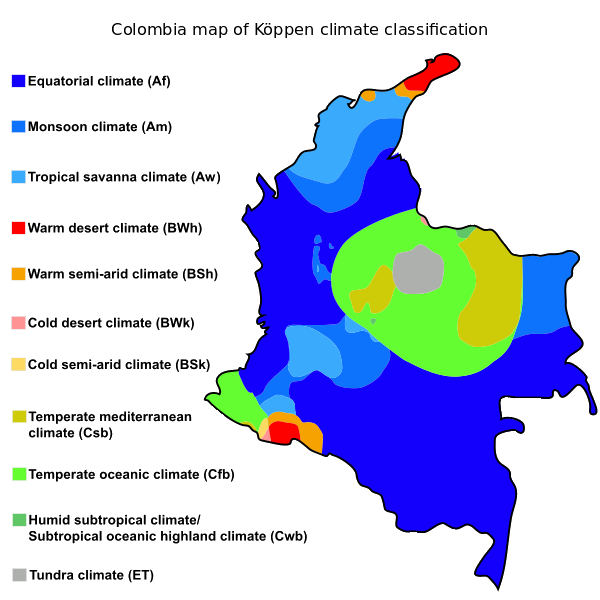 The of climates in Colombia is characterized for having tropical rainforests, savannas, steppes, deserts and mountain climate, this last one further subdivided into tierra caliente (hot land) tierra templada (temperate land) tierra fría (cold land), tierra helada (frozen land) and Páramo. But sometimes the weather of Colombia is altered by the seasons in northern hemisphere, for example from March to June the weather is mild Spring, from June to August the weather is hot Summer, From September to December the weather is cold hot, and from December to March the weather is even colder Winter.